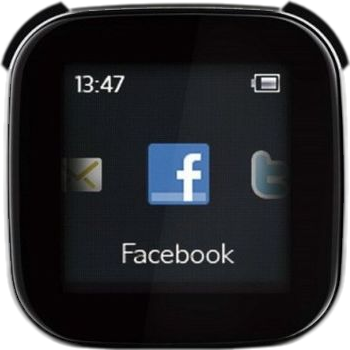 Sony Ericsson offers a small device that works with many Android phones and tablets, to show notifications, Facebook and Twitter updates and more, and even has controls for music. A wristband is included. It requires Android 2.x. I can think this is a great thing for tablet owners like the Samsung Galaxy Tab, if it works. So they don't need to pull out this thing on every mail, or can listen to music, while the Tab is in the backpack.